Ever since The Central Goods and Services Tax Act, 2017 (GST Act) was brought into force in India, some public authorities have been creating pointless controversies by demanding GST on fees payable under The Right to Information Act, 2005 (RTI Act). RTI applicants in Madhya Pradesh and Maharashtra have reported such illegal demands from public authorities. According to media reports, GST demands have been embedded into the online RTI application filing facilities as well. Such actions constitute brazen illegality. I have put together my arguments based on the evidence gathered from public sources for the benefit of readers in general and RTI users and activists in particular, who are at the receiving end of such malpractices. (b) the duties performed by any person who holds any post in pursuance of the provisions of the Constitution in that capacity;"
All Public Information Officers (PIOs) who are government servants at the Central level or in the States and the Union Territories are appointed under Article 309 of the Constitution. Therefore every duty they perform is essentially a duty performed under the Constitution. The RTI Act gives effect to the people's fundamental right to know what the Government is doing which is guaranteed under Article 19(1)(a) of the Constitution. When a PIO processes and makes a decision on an RTI application, he or she is essentially performing a duty under the Constitution. So the GST Act's exemption will directly apply to the duties that PIOs perform under the RTI Act. This exemption will apply to First Appellate Authorities (FAAs) also who are government servants, wherever the State RTI Rules empower them to charge appeal fees. Therefore, it would be brazenly illegal to charge GST for providing access to information or deciding first appeals under the RTI Act. That leaves us with public authorities whose employees are not government servants, namely those working in public sector banks, public sector enterprises and other non-government organisations that are recognised as "public authorities under Section 2(h) of the RTI Act. So doubting Toms might say that such PIOs and FAAs can charge GST for giving information. Please read on to understand how they too cannot and must not charge GST at all. At its 25th meeting held on 18th January, 2018, the GST Council recommended inter alia that "supply of services by way of providing information under RTI Act, 2005 be exempted from GST." Click here for the meeting minutes. Soon after, a press note released through the Press Information Bureau, announced this recommendation to the citizenry. Click here for the press release. A week later, on 25th January, 2018, the Department of Revenue gave effect to this recommendation by exempting the applicability of GST to the supply of information under the RTI Act. Click here and see page no. 35. 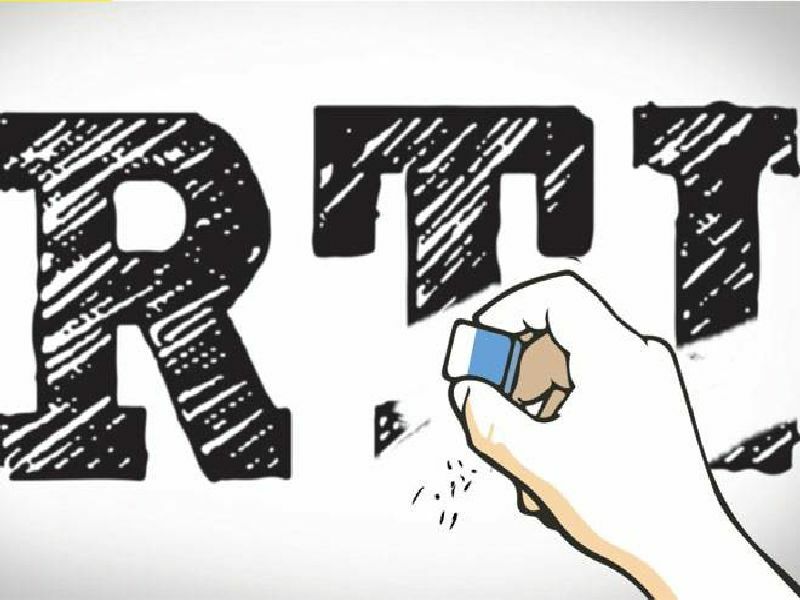 So, now all public authorities under the RTI Act, whether within the public or the non-government sector are prohibited from charging GST for providing information under the RTI Act. This exemption will apply to First Appellate Authorities also wherever the State RTI Rules empower them to charge appeal fees. In my humble opinion RTI Rules that permit charging fees for appeals are themselves ultra vires of the RTI Act as there is no such empowering provision in the Act. However this is a subject matter of another debate, so I will not go into the detailed arguments on this issue. Information Commissions established under the RTI Act are decidedly Tribunals. They are not courts of law. According to Section 19(7) read with Section 23 of the RTI Act, their decisions are final and binding. Their decisions may be challenged only by invoking the powers of judicial review vested in the High Courts under Article 226 or by virtue of a Writ Petition under Article 32 of the Constitution. So Section 7 read with Schedule III and the action taken by the Central Government under Section 11(1) of the GST Act prevent Information Commissions from charging GST on appeals fees. penalty which may extend to twenty-five thousand rupees." documentation which is easily rectifiable and made without fraudulent intent or gross negligence. 1) A complaint may be submitted to the concerned Information Commission against an errant PIO for charging unreasonable fees under Section 18(1)(d) of the RTI Act. 2) It is also possible in theory to argue that the PIO has charged GST illegally and therefore caused obstruction in the furnishing of information under the Act. This is a ground for imposing penalty under Section 20 of the RTI Act. Will Information Commissioners be willing to impose penalty in such cases remains to be seen. Given the ambivalent track record of a large number of Information Commissions, this will be an uphill task. 3) However, every RTI applicant who has been charged GST under the RTI Act must demand compensation through the second appeal or complaint procedure so that the Information Commission may direct the concerned public authority to refund the GST amount paid. Please demand INR 1/- as a additional compensation in order to score a point against the public authority which has wrongfully charged GST from the RTI applicant. It is important that the RTI fraternity in India opposes the illegal charging of GST on RTI matters in every case.